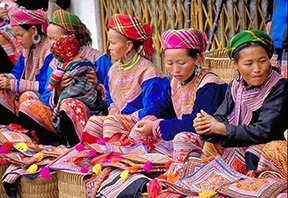 Both Can Cau market and Bac Ha market are very well known in the area for its color painted to local hill tribe people. 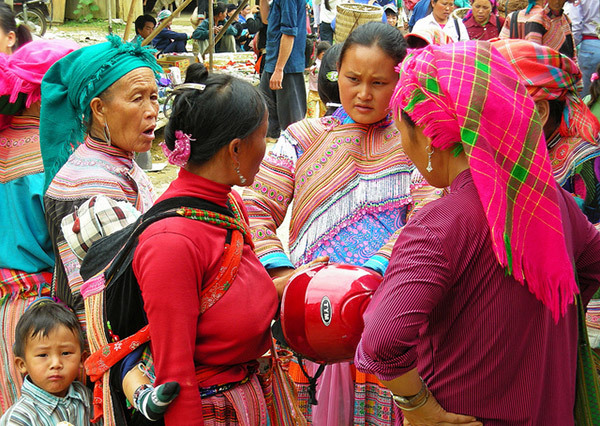 There are Flower Hmong, Phu La, Black Dzao, Tay and Nung…They all gather to these markets to sell their homemade products such as corn wine, handicraft… as well as an interesting animal. 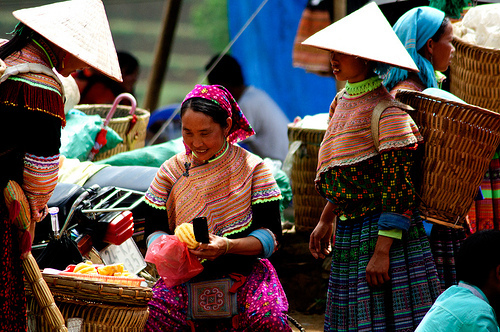 Another highlight is the short walk to Ban Pho village of Nung and Flower Hmong and the boat trip upstream Chay River. 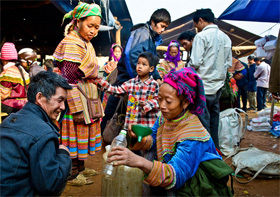 You will be met by local guide and driver upon your arrival at Lao Cai station then transferred to a local restaurant for breakfast (optional). Then start our drive to Can Cau market. 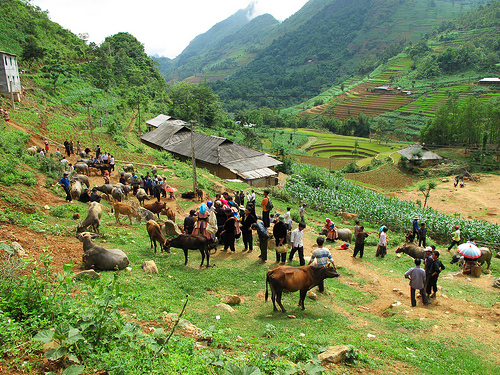 The road is relatively flat from Lao Cai to Bao Nhai bridge. After crossing the bridge, we begin our journey uphill offering beautiful views over the valleys. 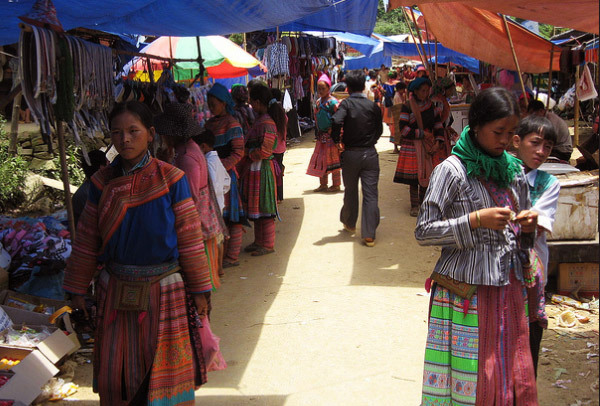 Situated 20 km from Bac Ha, Can Cau is a small, but very colorful market. 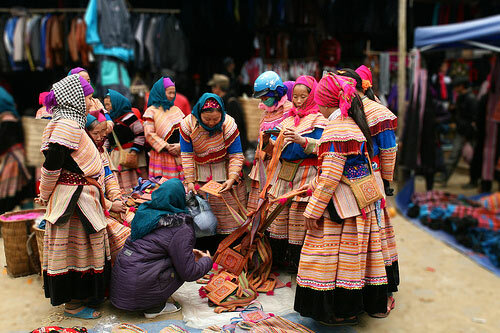 Opening only on Saturdays, it always delivers a very photogenic display of Flower Hmong, Black Zao, Phu La ethnic costumes. 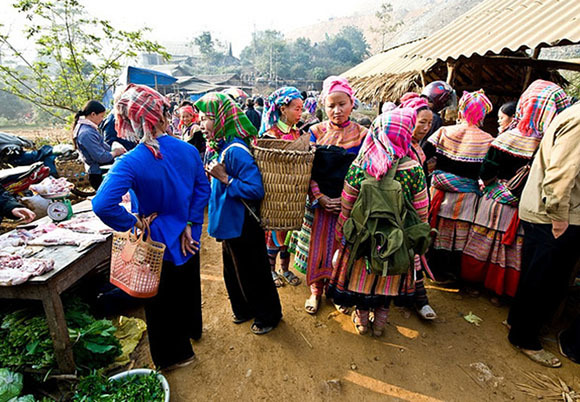 After spending the whole morning exploring the market, you will leave the market for Bac Ha town for lunch. 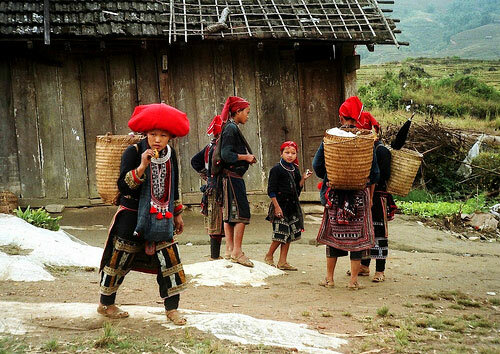 In the afternoon, you will take a walk to Ban Pho, a small village of Nung and Flower Hmong. The villagers grow vegetables and fruit trees. One of the most famous fruit of the area is plum. Visit a local house and taste a cup of corn wine, another famous product of the village. Then go back to hotel late in the afternoon. Approx: 3-hour driving/ 1.5 hours walking. Approx: 2-hour driving/ 1 hour’s walking/ 1.5 hours boat cruise.